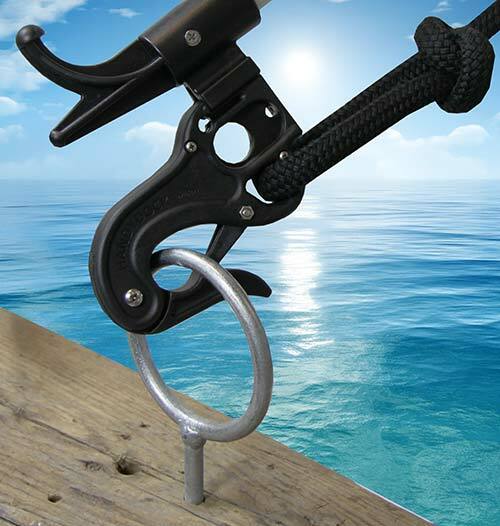 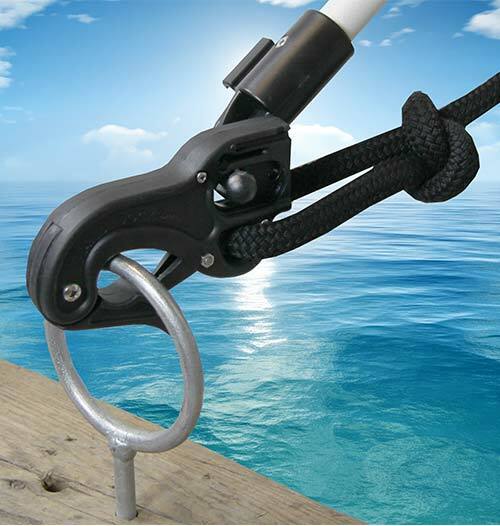 Mooring Hook for all types of mooring. 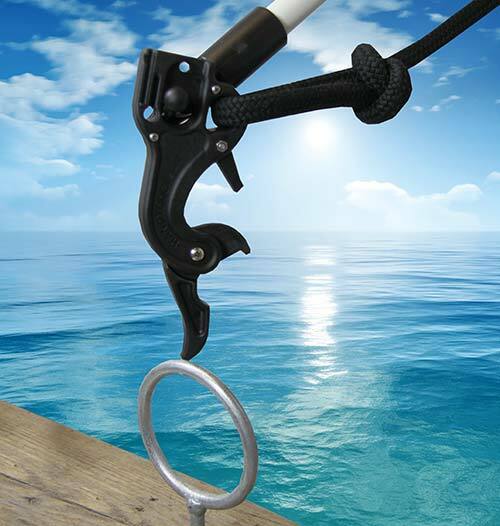 Grips around max 33mm spars. 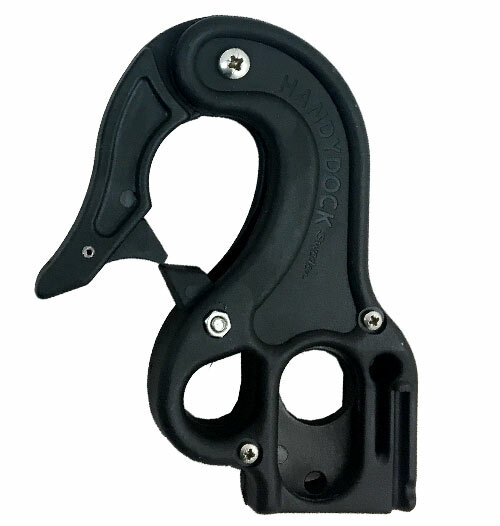 HandyDock works as a traditional carabiner but with the big difference that it is possible to release even when it is loaded. 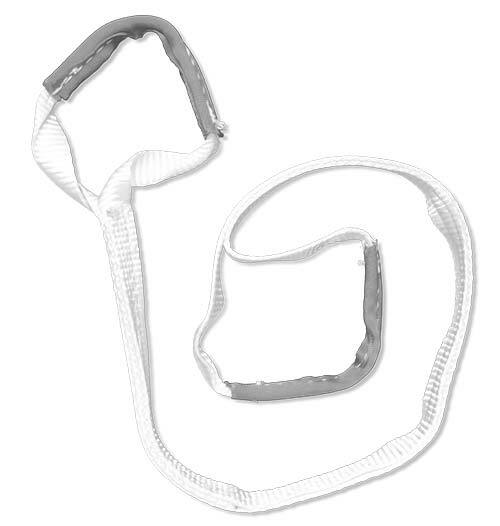 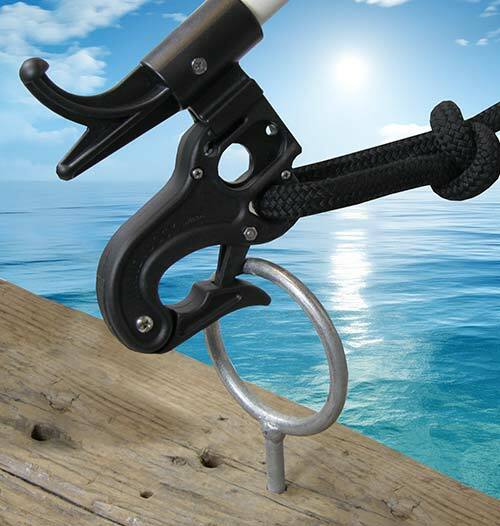 The principle is the same as the tow hook on a tugboat. 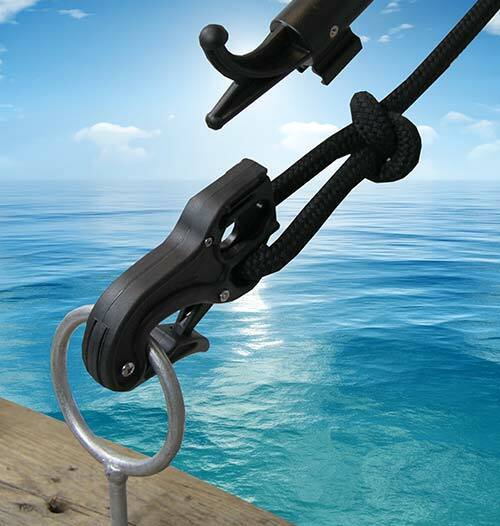 With HandyDock the mechanism is never loaded, which means that you can open it in any position. 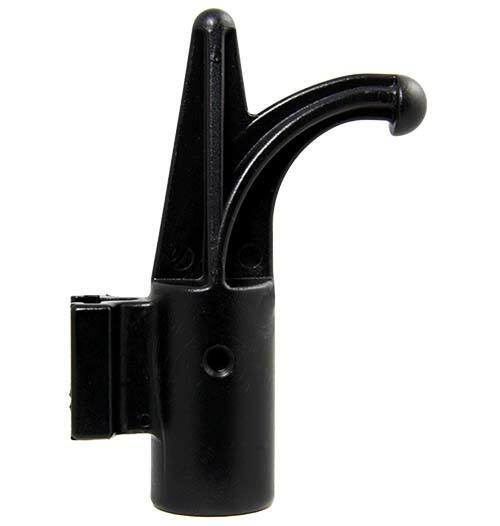 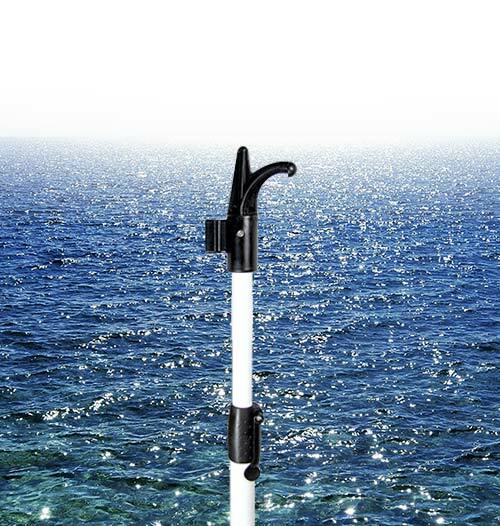 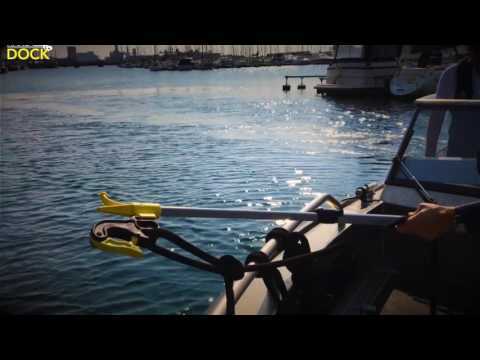 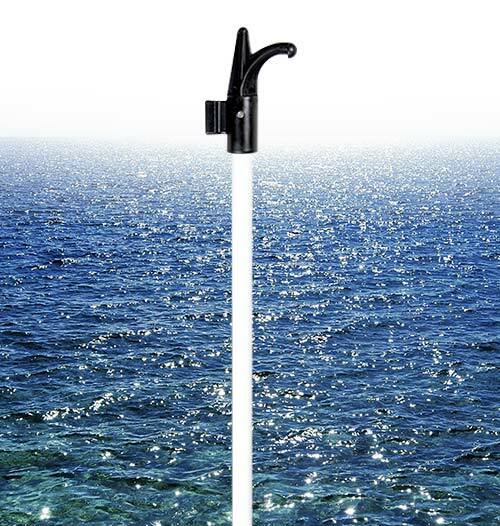 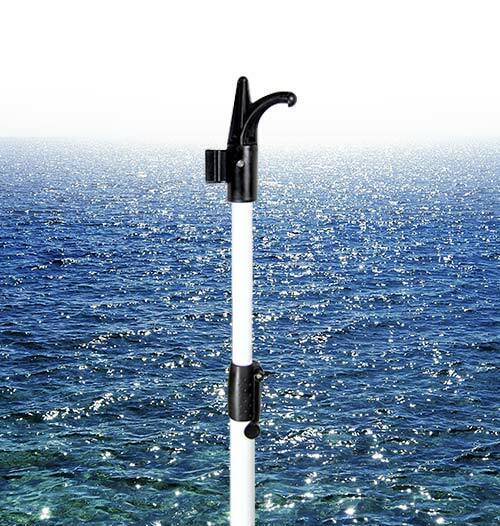 When using HandyDock, use the boat hook tool to handle the hook.